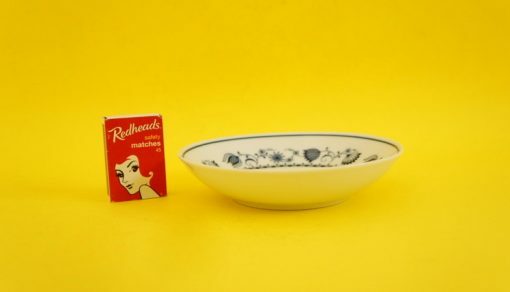 Despite being very collectible (and pricey!) 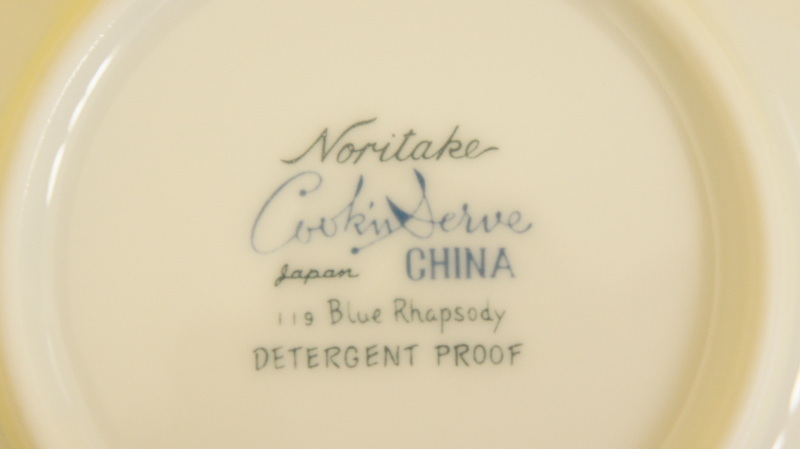 I don’t often find myself getting too excited by Noritake china. 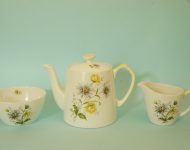 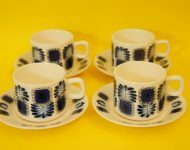 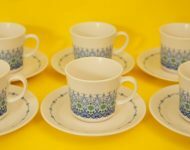 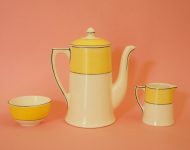 Obviously the quality of Noritake can’t be criticised, but the patterns often leave a lot to be desired, generally being a bit dull. I’m happy to say though that I don’t think that’s the case at all with today’s ‘Blue Rhapsody’ part service! 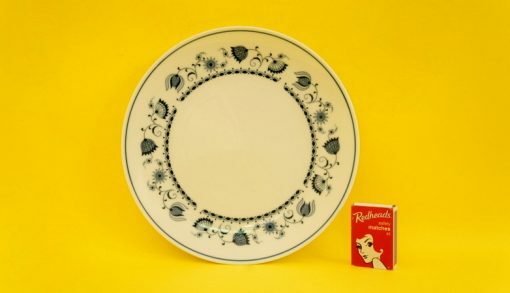 In production between 1964 and 1971 this crisp white china depicts the most delightful botanical scene, which rather interestingly is generically referred to as ‘Blue Onion’ ware. 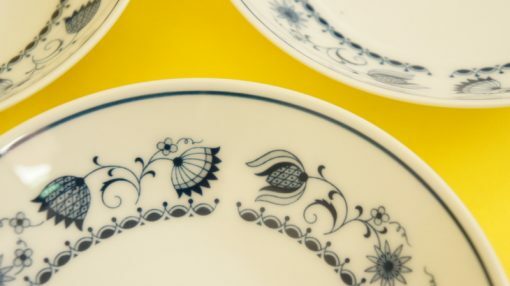 The style of decoration is believed to be an offshoot of Meissen porcelain, whose original pattern included ‘onion’ shaped designs. 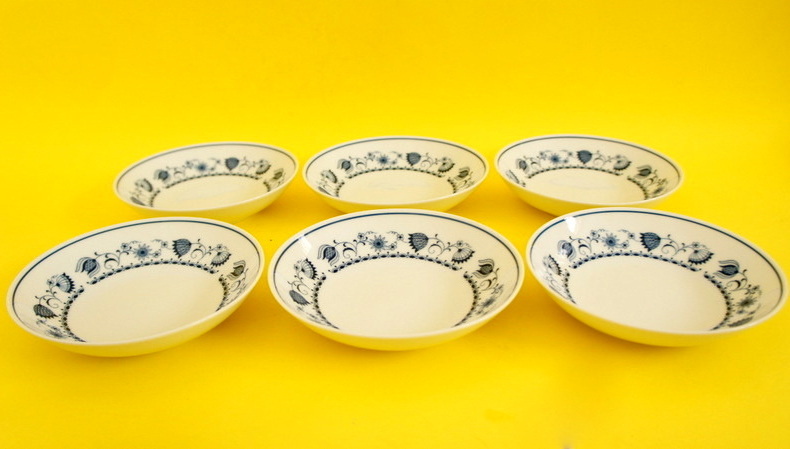 Historians now believe the ‘onions’ were actually stylised pomegranates or peaches, but somehow the name stuck! 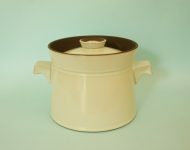 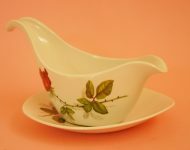 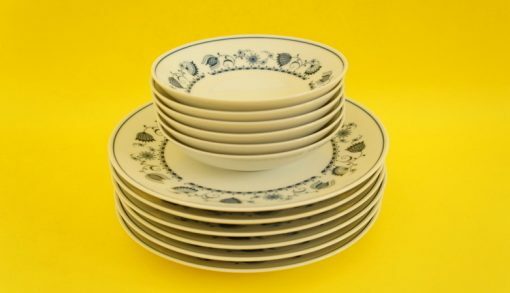 Sadly though we don’t have a complete set of Noritake Onion ware for sale today, with only the cereal bowls and salad plates, but on the plus side the pieces that we do have are immaculate! 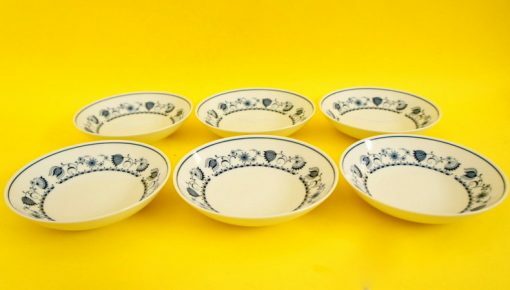 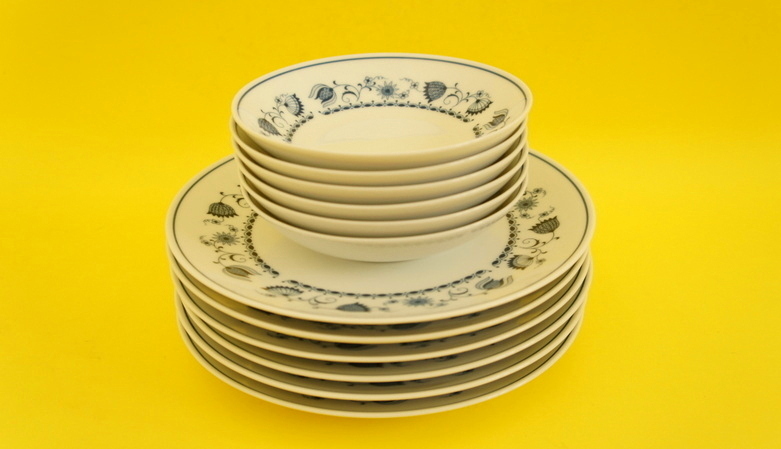 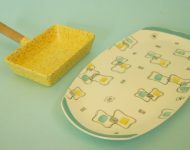 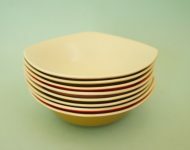 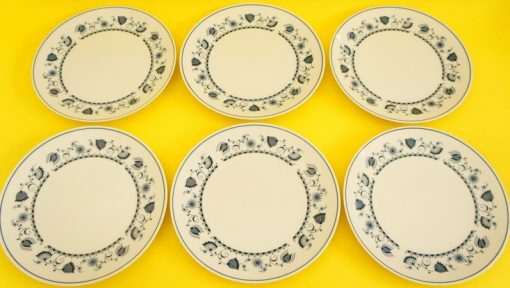 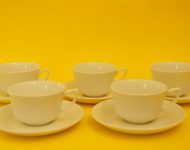 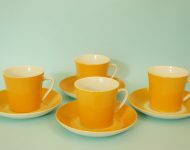 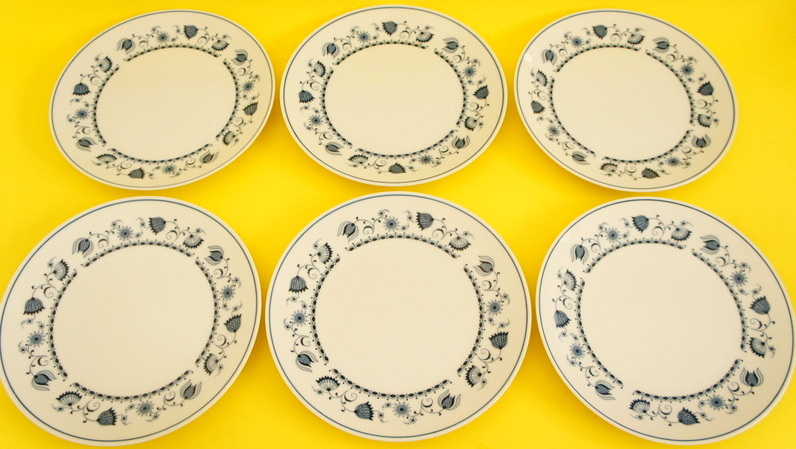 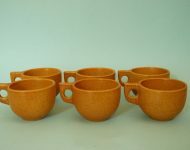 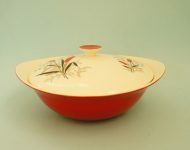 There are also two sets for sale, one set of six bowls and six plates, and a second set of four cereal bowls and four plates – so if you were wanting to build a collection for a larger dinner service, this lot would be a great start!